The human body has the ability to repair and renew itself. Most people believe we are born with a perfect body that slowly deteriorates as we age, until it finally falls apart. They see their body as a machine -- something that requires continual maintenance from doctors, whose job is to repair or replace our damaged parts. Most doctors believe this too. Indeed, our entire allopathic medical system is based on this idea. But this mechanical model of the human body is precisely where modern medicine has gone wrong. In reality, a doctor's role in the healing process is very small. Most of the job -- as much as 90% of it -- is accomplished without any need of a physician or his medicines. If you cut your finger, what happens? Almost immediately, new tissue begins to form -- and days later you can't even tell where the cut was. Break a bone and the same regenerating process occurs, and remarkably, the healed bone emerges stronger than before. The same is true for damaged arteries, injured brain cells and nerve tissue, worn-out cartilage in arthritic joints, and what I found out about the heart muscle. Doctors have been quick to downplay this self-healing ability. "Joint cartilage just doesn't regenerate very well," they like to say. Ten years ago that's exactly what brain surgeons thought about brain cells: "Once you lose a neuron, that's it. They don't regenerate." And as recently as three years ago, cardiologists were sure that heart tissue damaged by a heart attack never repaired itself: "Dead heart cells don't regenerate." Today we know they were dead wrong in each instance. Remember that your body is committed to repairing and regenerating itself -- and will continue to do so as long as you live. No matter how old you are, it will generate new skin, bones, tissue, muscle, and cells. Your immune system will continue to conquer bacteria and viruses, colds and flu, cancer and other diseases. And your wounds and bruises will heal, just as they have all your life. You must provide your body's remarkable repair power with the nutritional materials and building blocks it needs to keep going and growing. Many of those materials, readily available when we are young, need regular replenishing when we are older. That's our job. Not the doctor's. 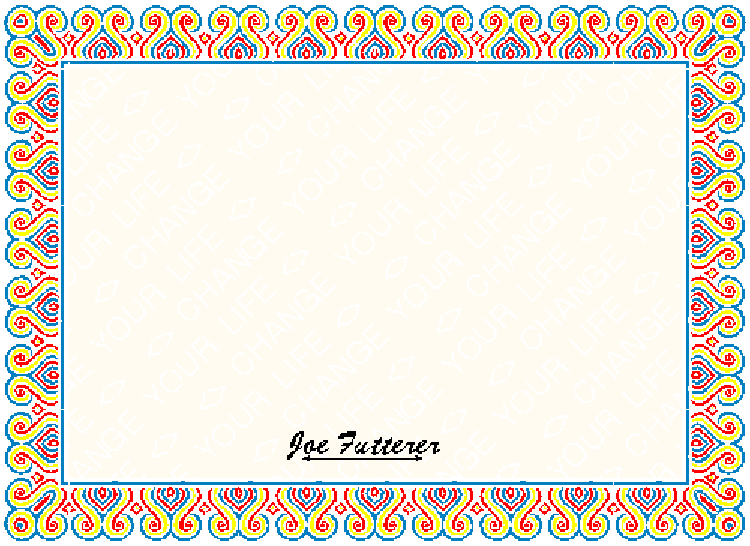 And that’s why I’ve written and compiled this program for you. You will have the benefit of my years of experience working in the Vitamin industry as a Certified Vitamin and Mineral Specialist and as a Survivor of heart failure. Remember the Quality of the nutritional supplements you use is extremely important. The January 2001 edition of the New England Journal of Medicine came out and admitted that only nutritional programs can reverse heart disease and reverse damage done to the heart. Do you have shortness of breath and fatigue easily ? Are You unable to walk or exercise as before ? Do the drugs just make you tired ? 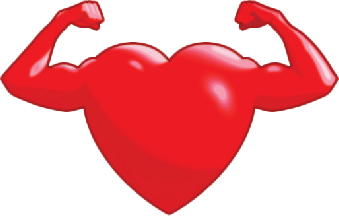 Do you want to strengthen your heart muscle ? 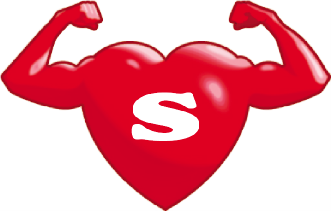 Do you want to Shrink an enlarged heart ? Are you ready to live Long, Well and Effortlessly ? Do you want YOUR glass Half Empty or Half Full ? Not ready to Die, yet ? You owe it to yourself and your loved ones to be as healthy as possible. 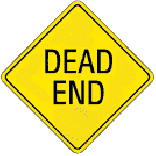 Being incapacitated or Dead is not an option. This Program will show you how. 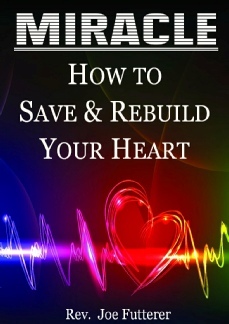 Rebuild Your Heart: A Solution that is Natural, Easy and Comfortable to do. By Rev. 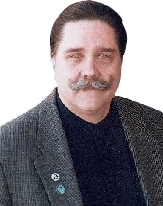 Joe Futterer, CHt., EFT-adv. Learn about the “MIRACLE HERB”. Hear about the results of my EchoCardiograms and the time lines involved. Know the nutrients and herbs that are Heart Friendly, and how you can benefit from them. When did your doctor ever tell you that you could shrink your enlarged heart ? Well you can, nutritionally. What I consider the Top Essential 7 Nutrients. Learn what these nutrients can do for you. Know where to find the highest quality nutrients. I have researched and used these and feel, at this time, they are the best ones available. See the References for these nutrients. Research on new drug, pros and cons. The Quality, of your supplements, is first and foremost. You will have the benefit of my years of experience working in the Vitamin industry as a Certified Vitamin and Mineral Specialist and as a Survivor of heart failure who used supplements to beat the odds. What if you DON’T have heart problems now ? You can study this program, with an eye to replenishing the nutrients that your body needs to give you the best chance of remaining healthy and young. Don’t waste time, start your program now. That’s Right, I Know, Because I’ve done it ! It will help with anything your heart is going through, because all of my suggested nutrients are good for the heart. Most people don’t have a clue what nutrients to use, and I cut through the fog and show you what they are and where to get them, and that could take you years to find out, if ever. There is nothing more frightening than having a heart condition and wondering what you are going to do. I didn’t want to rely on drugs and doctors to live. So I used my background in the supplement industry and took control of my health, and I’m on a mission to show you what I did. To see results from this program, one should expect to commit to consistent adherence (starting and stopping won’t work) to the nutritional regimen for a minimum of 90 days. Get an Echocardiogram before you start this program and After 90 days get a new Echocardiogram and notice what has improved. Remember you have been building up to this heart problem for years, don’t expect to resolve it overnight. It's not often you come across a self help book that truly gives you easy to understand information. I so appreciate all that Mr. Futterer shared and the supplements that work. Why modern medicine refuses to admit that there are natural remedies available that can strengthen the heart, is beyond me. Why should people have to endure horrible side effects from chemicals when supplements are cheaper and less able to cause problems for patients? Most of the educational books being published today regarding health issues are general-interest books covering a wide spectrum of issues...what I call the "shotgun approach" to education. If the author includes a wide-enough variety of topics, a reader is bound to find something that will induce him to buy the book. The problem with this approach is that, usually, the reader winds up being disappointed because his particular condition has actually been dealt with in a shallow manner. Furthermore, most of the self-help books I've seen are written by people who know how to tell a good story, but they are talking about things other people have accomplished. The authors themselves don't really have any personal experience to relate. Not to mention the fact that many of these books are written by ghost writers. But in the case of Miracle, the author has addressed a single, specific health issue (congestive heart failure, CHF) that affects a large number of people, and the story he tells is his own story. Not only that, but the research he describes is real research, done on himself, well documented, of the kind that any medical researcher could be proud of. Furthermore, the natural remedies he describes as part of his recovery regimen have all been thoroughly researched, and the documentation to back up his claims is included in a very extensive references section. Anybody who would like to vet this information for themselves will find all the tools available to do it at their fingertips. I have been studying health and nutrition issues for over 40 years, and I have rarely found a book on these subjects that has taught me as much as Miracle has. The author not only describes each remedy in detail, indicating why it would be recommended for anyone who has CHF, but also why these supplements would be good for anyone to use as a preventative measure and as tonics for general good heart health. One of the aspects of Miracle that I truly appreciate is the sense of empowerment that the author conveys to the reader. He shows you how you can become your own health mentor and how to make healthy choices in your life. This is truly a "self-help" book. Even if you don't have any heart problems at all this is great information on a number of nutrients to use. We hunt and hunt for good info on certain supplements, brands and sometimes just take a chance. Here's a book that lays out a lot of info on a number of supplements that you can use for all kinds of things, not just the heart. So for that value alone it's worth it. But if you do have heart problems, you can't go wrong. There's plenty of info here and a course of action to take to combat the forces of debilitation or even death. Nothing's a death sentence till you're dead. I'm one that collects "GOOD" health info so I'm not pouring over endless sites trying to figure out who's info is bogus and who's isn't. This book is invaluable! 'Miracle' is a great addition to my library of health information, even if it's only on standby. Because one never knows what's around the corner. It can become your bodyguard. Who’d tell you this info ? I have written an informative paper about Vitamins and Supplements. 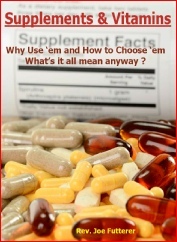 This is some basic info to help you understand and choose supplements. Not all supplements are created Equal. I have recorded a Heart Healing meditation and visualization to assist with your healing. I suggest listening to this often. 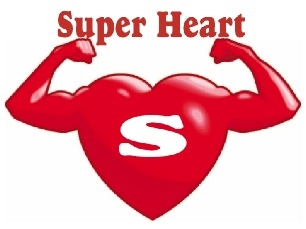 the Super Heart Rebuild Program. I Wrote the Book on it.